Jonathan Miles’ uproarious, affecting Dear American Airlines takes the form of a complaint letter from an airport refugee, which expands, digresses, and extrapolates into a novel not the least bit oppressed by its conceit. The central character is a ragged old man on his way to his estranged daughter’s wedding, and he winds up unspooling the threads of his entire life in stirring, surprising, comic fashion. Carl Wilson’s startlingly good entry in the 33 1/3 music-book series surveys the work of Celine Dion and functions as an uncommonly honest, unerringly rigorous inquisition into the vagaries of “taste,” and how they manifest in ways we seldom acknowledge. 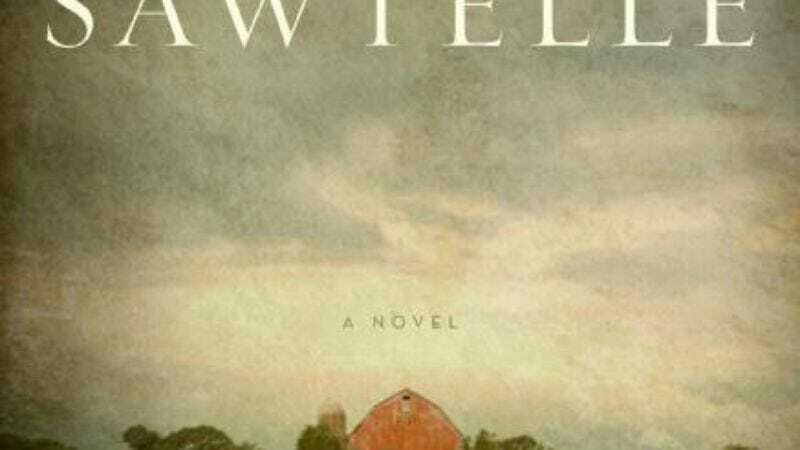 The plot of this debut novel drops Hamlet into rural Wisconsin, as seen through the eyes of a mute boy and the pack of super-intelligent dogs his family breeds. But the writing recalls Willa Cather in perfectly capturing the aching clarity of perception and the piercing sting of memory. Wroblewski’s descriptions of sign language, innocence, despair, and survival hang in the air like dust motes, dancing to a simple yet deeply sacred music. All this in a page-turning thriller that builds to transcendent heights of tension. This was a book I never wanted to end. Nobody can tell you exactly what you should do with your life; the art of living is figuring that out, after all. But here’s a self-help book (disguised as a manga) that can tell you whether you’re on the right track. Pink’s six simple lessons (e.g., “There is no plan” and “Make excellent mistakes”) help debunk the “Plastics, son, plastics!” style of career planning most of us think we should be looking for. In this uncertain economic moment, young people from 16 to 30 are likely to be grasping ever more desperately at supposedly sure things. Give them Johnny Bunko to help them find themselves instead of a dead end. On the surface, it isn’t that exciting a premise: Take an obscure character from a 2,000-year-old poem, bring her to center stage, and give her a book’s worth of time to speak her mind. Theoretically, dullness and ill-conceived modernization should ensue, but in the hands of Ursula Le Guin, it’s something else entirely. Combining a meditation on Le Guin’s usual themes with a mythical story of destiny, betrayal, and love, Lavinia is immediate yet achingly timeless, a novel that imparts wisdom without judgment or stridency. It’s a tragedy that doesn’t linger in sadness, and a fairy tale that never settles for the happy ending. The five Best Picture nominees for the 1967 Academy Awards were such a diverse bunch that even a cursory study would’ve made for interesting reading; fortunately, Mark Harris digs below the surface to explore not just the changing zeitgeist, but the people who made it happen. Following each movie from genesis to release, Harris describes a New Hollywood struggling to find relevancy in message pictures and New Wave techniques, with the old guard working just as hard to follow last year’s dollar signs. Behind-the-scenes drama doesn’t get much better than this. Mixing Guy Debord’s urban alienation with China Miéville’s rarified fantasy, Felix Gilman isn’t a writer to be taken lightly. And yet he somehow turns a teeming plot and a cauldron of half-cooked ideas into a compulsively readable debut. One of Thunderer’s persistent indelible images is that of a magic warship sailing over the fictional city of Ararat, which should be readers’ first clue that Gilman giddily deconstructs and fiddles with myth. Flying boys turned arrogant revolutionaries and gods mutated into monsters by pseudo-science are just two of the ingredients Gilman throws into the stew—most of which could have been the subject of entire novels themselves. Just when things start to become overwhelming, though, Gilman’s story takes flight through the side door, using rich prose as rocket fuel on a voyage toward dizzying, bittersweet wonder. Like Thunderer, Ekaterina Sedia’s The Alchemy Of Stone is set in an anachronistic city where Edwardian technology and pure magic interlock. But Sedia’s novel is firmly set in steampunk, complete with outrageous contraptions, intelligent automatons, and living gargoyles. Alchemy departs from the subgenre by giving a simple, elegant voice to its protagonist Mattie, a clockwork android learning how to think and feel on her own in a society that’s scheming and crumbling around her. While speculative fiction has long been known for reflecting reality in the mirror of the unreal, Sedia uses real-world, hot-button issues like terrorism, immigration, and human rights as the stuff of fables rather than didacticism. When historians of the future try to figure out how a nation united by so much became bitterly divided along ideological lines, they’d be wise to devour Rick Perlstein’s Nixonland, an epic, essential exploration of the life and times of Richard Nixon and the simmering cultural divide he exploited to presidential glory, then shame. Nixonland isn’t just revelatory and educational, it’s also funny, vital, and alive. It never sags under the weight of its enormous heft (748 pages) or Herculean ambition. Nixonland is an invaluable political history that doubles as a bona fide page-turner. Carrie Fisher has long used her surreal existence as fodder for semi-autobiographical novels, but with her brutally funny memoir Wishful Drinking,she delivers her true Hollywood stories unfiltered and uncut. Fisher’s biting wit mines humor out of the bleakest possible subject matter, whether she’s chronicling her battles with manic depression and her wholehearted support of electroshock therapy with an incongruously light touch, or explaining with abundant gallows humor how exactly she woke up one morning with a gay dead friend in bed beside her. Fisher is scathing in her warts-and-more-warts depiction of George Lucas and her father Eddie Fisher, whom she depicts as a pot-smoking, fame-hungry, neglectful womanizer, but her book never feels mean or petty, just perfect. The only problem with her brisk tell-all is that it isn’t twice as long. The latest from Snow Crash/Cryptonomicon author Neal Stephenson is yet another weighty tome—960 pages this time—and it takes some getting into, as he spends roughly 250 pages just establishing the rituals and rhythms of life in a science-fiction-future convent before even touching on the central plot, and how it disturbs those rhythms. But the world he creates is vast, rich, and complicated by a real-world level of intelligently crafted detail, and it builds slowly and irresistibly over its bulk into an exciting, Robert Heinlein-esque thriller. Tack on the most accomplished ending Stephenson has ever produced, and Anathem winds up ranking among his best. Cory Doctorow, Little Brother (Tor): Doctorow often echoes Stevenson’s early work, in that he writes about the immediate future of technology and how it’ll shape society for better and worse. But this irresistibly tight junior techno-thriller also delves into current politics, privacy issues, and revolutionary tactics in an America determined to sniff through its citizens’ lives for signs of wrongdoing, assuming them guilty until proven innocent. It’s light, fast, and readable, but appropriately intelligent and angry at the same time. In her spare, unforgettable third novel, Canadian novelist Hay corrals a crowd of misfits around an ailing radio station in the Northwest Territories as their town is divided by a proposal to build an oil pipeline over tribal lands. Rendering these characters against the stark beauty of the Northern seasons is risky, but Hay’s humanizing touch—taking stock loners like the perpetual bachelor, the itchy-footed go-getter, and the mysterious expatriate and giving them a naturalistic turn—allows them to tumble toward their own revelations without detracting from the quiet majesty of their surroundings. In an age where negotiation is a dirty word and diplomacy is often conducted with a blunt instrument, Conant’s spy history following the World War II exploits of children’s-book author Roald Dahl is a reminder of a time when the affairs of state were too important not to be left to suit-wearing social drinkers. Dahl’s madcap adventures in Washington drawing rooms as he and buddy Ian Fleming collected information for British intelligence demonstrate the fluidity of the national interest in the war, and one country’s genteel-but-underhanded play for the support it needed most.